It is essential that we have an accurate count of all adults and students participating in the Competition. We have to provide hard numbers to the school food service folks. Enter the total number of students, advisors (minus the advisor registering the group) and other adults attending UNDER THE GUEST BOX. If you have any questions, please contact me Greg Kane at either gkane@aol.com or call 860 989-1426. This is the 2019 Connecticut CTEEA SeaPerch Championship. This is a qualifying event for the National SeaPerch Championship. Registration will be from 8:00am to 9:00am with the competition starting at 9:30am. There is a $20.00 per person registration fee which will go toward providing lunch for all students and advisors/teachers. Advanced registration is required and the registration fee will be paid bythe day of the event in a check made payable to CTEEA. This is a GREAT opportunity to be part of this CTEEA 2019 Connecticut SeaPerch Championship. Join us in our Facebook Group to see what other professionals are doing, ask questions, and learn about new educational resources. Check out the International Technology and Engineering Educators Association! 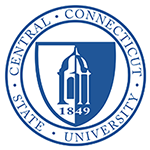 Visit Central Connecticut State University's Technology & Engineering Education department to learn more about educational opportunities.